Ok so yeah, I've just got my LOL albums today. I wonder, where did everybody put the gfriend stickers? Mine will arrive next month.. I want that for xmas and a Kang Gary baseball cap. hello everyone i wanna tell you what i own from Gfriend. if you put a direct link to the picture, it should automatically upload~! 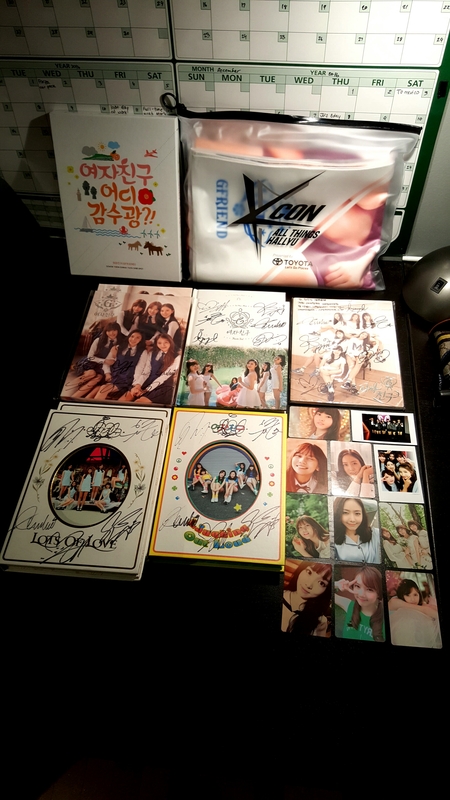 Like Sowonnie said any collection is better than no collection! Sweet! Share with us once you've got your Rough! Well, every big collection starts small, so that's fine! Looking forward to your collection! I'll share it the day it came , your collection was so cool buddies! Hoping to expand my collection in the future! I have so many Yerin haha. The only full set I have as of now is Yerin. I got eunha and yuju in knight version.. i want sinb.. I'm waiting my LOL come, i think in the next week. I really want bought all the albums. I'm trying to get money for this. The Yuju pc in Knight outfit!